Keri Herman’s career as a professional skier has been anything but typical—and now she’s leading a design team at Virtika developing an all-new women’s line of ski and lifestyle outerwear. Today marks the official launch of the clothing line on Virtika’s website, but to understand why it’s a gear launch that should merit your attention we need to take a look back at how Herman ended up in the designer’s seat in the first place. Growing up in Bloomington, Minnesota, Herman spent most of her time throughout grade school at the hockey rink. It wasn’t until the northerner moved west to study at the University of Denver that she ever considered skiing. Hitting her first rail at the age of 21, Herman, for the first time, thought about skiing as a viable career post-college. After graduating with a dual-bachelor’s in Marketing and Finance in 2005, Herman migrated further west on Interstate 70 to Breckenridge, Colorado, to get her start as a professional skier. Hitting her first rail at the age of 21, Herman, for the first time, thought about skiing as a viable career. PHOTO: Mike Kvackay. 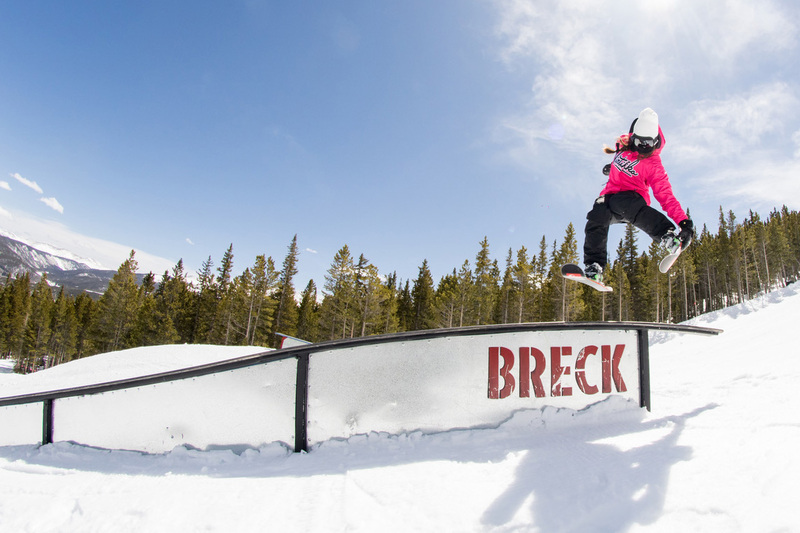 When Herman first stepped onto the freeskiing scene, there were few competitions for female slopestyle skiers. X Games and Dew Tour had yet to include women in the contests but instead of accepting it for what it was, Herman, along with a core group of female skiers, including Ashley Battersby, Anna Segal and Michelle Parker, traveled the world–with little support, mind you–stomping their best tricks to prove women deserved an invite. 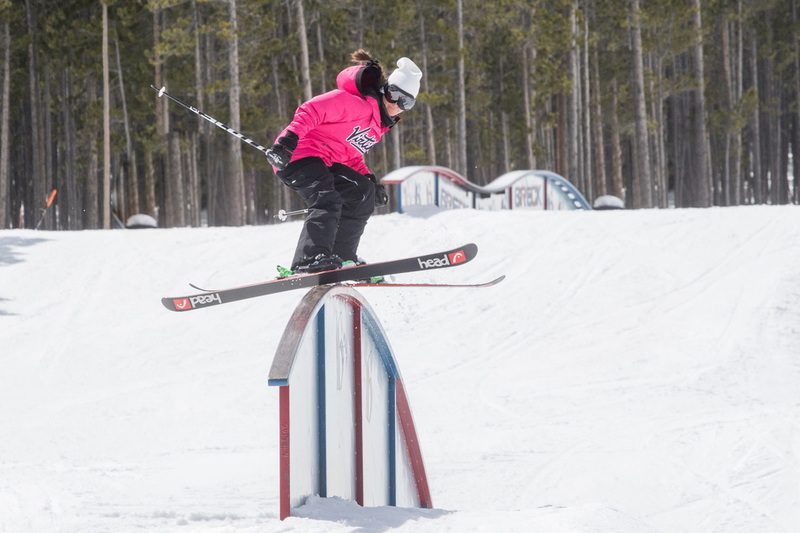 In 2009, women’s slopestyle debuted at the X Games and a season later, Dew Tour followed suit. 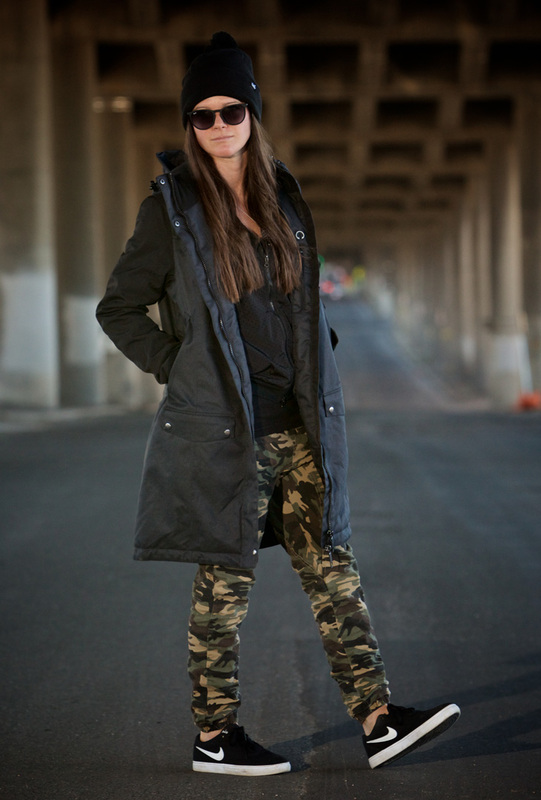 Herman competed at each inaugural event, and went on to win five X Games silver medals, landed on three Dew Tour podiums, won three World Cup titles, a Grand Prix gold, as well as receiving an invite to the 2014 winter Olympics in Sochi, Russia–the first winter games to include slopestyle skiing–where she represented team USA. Herman represented Team USA at the 2014 winter Olympics in Sochi, Russia–the first winter games to include slopestyle skiing. PHOTO: Mike Kvackay. Getting a late start in her career, though, posed issues for the now 36-year-old. In 2015, the skier admitted to changing her age on Wikipedia because sponsors started dropping her, not for her performance, but simply for her birth date. Resistant to being aged out of the sport, Herman continued to compete, regardless of sponsorship, until her femur gave out in a bad crash two years later, forcing the professional athlete to have surgery and to start thinking of the next move. “I kind of had to rethink my life,” says Herman. In true opportunist fashion, Herman quickly found a new avenue to pursue during her long recovery. This was the chance for her to do something she had always wanted to do: create a women’s outwear line. “In that down time I linked up with David Lesh from Virtika and we decided that… I had so much time on my hands that we could start to create this women’s line,” says Herman. Having been a part of development meetings for Under Armour and Spyder when she skied for the brands, Herman now has a clear vision of what she desires from a women’s outerwear line. “I wanted things really, really long and slim and it was a fight for the last decade to try to get anything long [fitting]. Now, we finally have this opportunity where we’re doing it.” Founded by professional skier, David Lesh, Virtika is an offbeat brand that offers technical outerwear that goes against mainstream style–the perfect match for Herman’s designs. Head to Virtika.com to checkout the brand-new women’s outerwear line for a jacket that does equally well out on the slopes as it does in town. The post Seamless Transition: How Keri Herman has gone from Olympic skier to outerwear designer appeared first on FREESKIER.